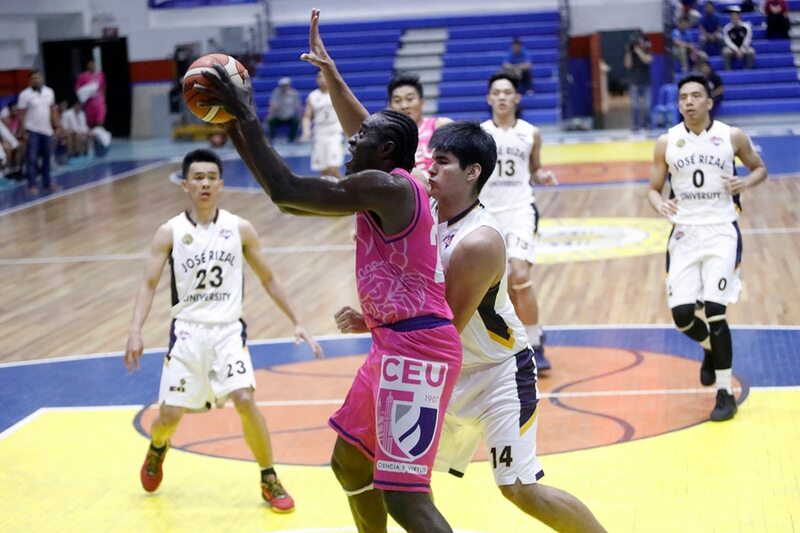 MANILA, Philippines – Rod Ebondo played the role of the savior for Centro Escolar University (CEU) once more, as the Congolese center lifted the Scorpions to a nail-biting 77-75 triumph over Jose Rizal University (JRU) in the 2018 PBA D-League Aspirants' Cup on Monday at the Pasig City Sports Center. Ebondo nailed the game-winning jump shot with 1.1 seconds left to cap another superb game. He finished with 33 points, 15 rebounds, three assists, two steals and two blocks to save the Scorpions from the Heavy Bombers' upset axe. "We're just lucky na pumasok 'yung tira ni Rodrigue," said CEU coach Yong Garcia. Ebondo also stepped up on the defensive end, as he blocked Jeckster Apinan's attempt with 15 seconds to go to keep the score tied at 75, and set up his game-winner. Joseph Manlangit contributed 15 markers, while Art Aquino got eight points, including the game-tying basket in the paint with 20.6 ticks remaining. CEU has now won two games in a row to improve to 5-1. Meanwhile, the Heavy Bombers continue to struggle. This was their sixth loss in a row, dropping their record to 1-6. Kris Porter shot 5-of-9 from beyond the arc to lead the Heavy Bombers with 21 points. Paolo Pontejos had 14 markers, five rebounds, and three assists, while Ervin Grospe got 10 points for JRU, which could not score the shocker despite the 45 points it garnered from the bench. 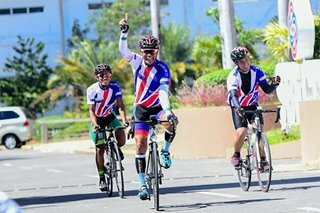 CEU 77 — Ebondo 33, Manlangit 15, Aquino 8, Chan 7, Veron 7, Caballero 5, Wamar 2, Arim 0, Cruz 0, Guinitaran 0, Fuentes 0. JRU 75 — Porter 21, Pontejos 14, Grospe 10, Apinan 8, De Guzman 7, Dela Virgen 7, Esguerra 4, Mendoza 4, Sawat 0, Yu 0.